Multiple myeloma (MM), or plasma cell myeloma is a rare type of cancer. Caused by the proliferation of B cell lymphocytes, a type of blood cell responsible for the production of antibodies. The disease derives from a clonal population of cells, which all descend from one single plasma cell, and all have exactly the genetic make-up. As the cancerous cells multiply they take up room in the bone marrow, where there is no longer space to produce normal blood cells. Plasma cells produce a class of proteins known as immunoglobulins, which most of us know as antibodies. The resulting tumour secretes large amounts of an immunoglobulin known as a paraprotein (also known as monoclonal or myeloma protein), this condition is known as hyperglobulinemia (high immunoglobulins in the blood). 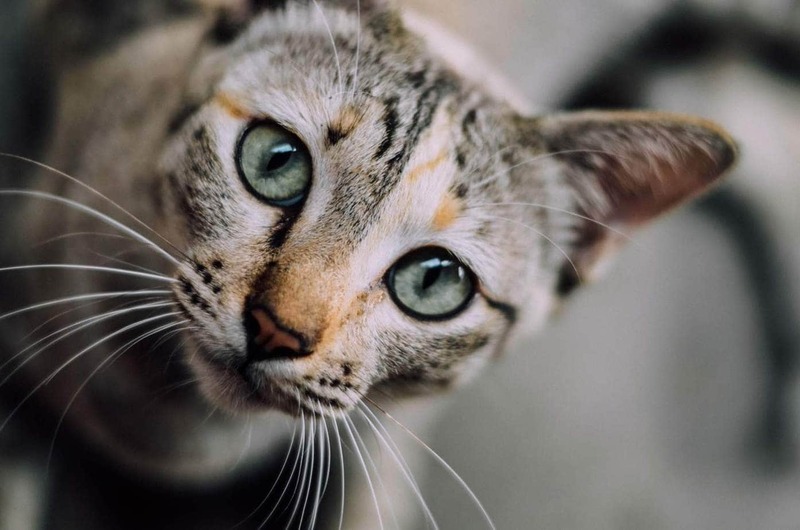 Because the increasing concentration of immunoglobulin belongs to a class of serum proteins called gamma globulins and due to their uniform composition, the cat is said to have ‘monoclonal gammopathy’. The overabundance of immunoglobulin in the blood causes multiple problems, it thickens the blood, turning it to sludge, which over time damages the kidneys. While the majority of multiple myelomas start in the bone marrow (where all blood cells originate), it is possible for it to originate from an extramedullary site (occurring outside the medulla of the bone). It is also possible for MM to metastasise from the bone marrow to other locations, this is known as extramedullary myeloma. 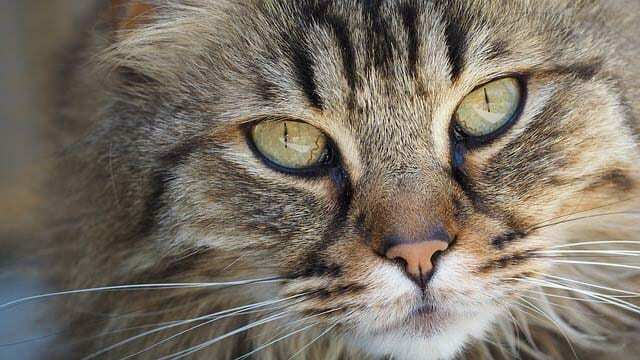 This is generally a disease of older cats, there is no breed predilection, male cats are slightly over-represented. The cause of MM is unknown although genetics, previous infection have been noted as possible causes. This is a rare form of cancer in cats, accounting for less than 1% of malignant neoplasms. Symptoms can be wide-ranging as many organ systems can be affected. Many conditions are a direct result of circulating paraproteins in the blood (hyperviscosity syndrome), others relate to organ damage due to metastasis as well as the reduced numbers of other types of blood cells due to infiltration of the abnormal plasma cells in the bone marrow as well as increased risk of infection. Generalised symptoms can include anorexia, weight loss, lethargy. Increased numbers of plasma cells can result in cytopenias (low levels of blood cells) such as thrombocytopenia (low blood platelets), anemia (low red blood cells), neutropenia. Visual disturbances due to a detached retina, caused by hyperviscosity and/or hypertension (see below). Visual impairment dilated pupils and in some cases, hemorrhage can be seen in the front of the eye. Heart disorders due to increased workload from hyperviscosity. Kidney disease can develop due to infiltration of plasma cells, hypercalcemia or light chain proteins in the blood which overload the kidneys. Excessive thirst, excessive urination, vomiting, bad breath and weight loss are all common findings in cats with kidney disease. Bone lesions can cause pain, lameness, and fractures. Tumour-induced bone destruction can lead to hypercalcemia with neurological disorders (twitching, seizures), bladder stones, gastrointestinal disorders such as vomiting and constipation. Bleeding disorders may develop due to paraproteins coating the thrombocytes (responsible for clotting), interference with the blood clotting factors or thrombocytopenia. Thrombocytopenia, anemia, and neutropenia can develop due to plasma cells taking over the bone marrow space. Symptoms may include lethargy, pale gums, bleeding from the gums, increased susceptibility to infection, blood in the urine and/or stool, red spots on the gums and skin, bruising. Hypertension (high blood pressure) can occur as a result of kidney failure. Retinal detachment, seizures, heart failure can develop. Biochemical profile, complete blood count, and urinalysis which may reveal high levels of protein in the blood (hyperproteinemia), high calcium levels (hypercalcemia), elevated BUN due to kidney failure, hypoalbuminemia (low albumin), hyperglobulinemia, cytopenias are common findings in cats especially non-regenerative anemia, thrombocytopenia, and neutropenia. Serum protein electrophoresis (SPEP) is a test which breaks down the individual proteins in the blood. Samples from a cat with MM will show a monoclonal spike due to increased levels of monoclonal immunoglobulin in the blood. Urine tests to detect the presence of Bence Jones (light chain) proteins in the urine. Xrays of the vertebrae and limbs to look for bone lesions which will show as a dark ‘punched hole’ in the bone. Ultrasound or x-rays to evaluate the heart, kidneys and liver, spleen and lymph nodes to evaluate the size and shape and look for extramedullary myeloma. Other conditions including FIP and FIV can also cause monoclonal gammopathy. Your veterinarian may also want to perform additional tests to rule these infections out. The faster the diagnosis, and start of treatment, the better. Hopefully, before organ involvement develops. Addressing secondary complications such as kidney disease, hypercalcemia, hyperviscosity syndrome as well as the neoplasia is the goal of treatment. Many conditions should improve once chemotherapy starts. Diuresis: To help flush excess calcium out of the body via the urine. Administration of medication may also occur. Dietary changes to address kidney disease. Your veterinarian may also prescribe phosphate binders. Plasmapheresis: Removal of blood which is centrifuged to separate it into plasma and cells. Plasma is discarded and the cells are re-suspended with crystalloid fluids to return the blood to its normal volume before being reinfused into your cat to treat hyperviscosity syndrome. Blood transfusion may be required to treat cytopenias. Chemotherapy – MM is very responsive to chemotherapy (oral melphalan) as well as glucocorticoids (prednisone or prednisolone). The goal is to slow down the progression of the disease and relieve clinical signs. Radiation therapy to treat bony lesions. Antibiotics to treat concurrent bacterial infections. Administer all medications as prescribed by your veterinarian. Repeat follow-ups and bloodwork will be necessary to monitor your cat’s progress. While treatment can extend your cat’s lifespan, the long-term prognosis is poor and most cats will succumb to the disease, especially those who have developed hypercalcemia, kidney disease, anemia, and fractures, indicating a more aggressive form of the disease.